Advanced Flow Engineering, Inc. (AFE) is a team of engineers, machinists, production and sales people who believe in the product they design. Each has years of experience in their respective positions and together they work to ensure that aFe has the best product on the market. aFe's purpose was not just to be another vendor that offers air filters, intake kits, diesel or gas exhaust systems but to pay attention to those finer details that set an aFe products apart from the competition. Getting the air in will give you more power. Getting the air out will give you more power. When you get more air in and out at the same time, you get a lot more power. 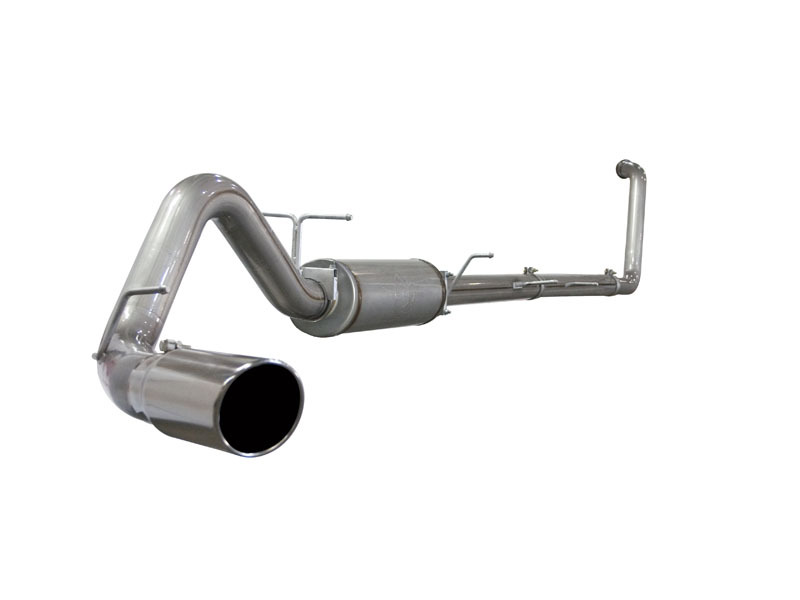 With our 4 inch exhaust systems are mandrel bent aluminized steel which eliminates the sharp bends and kinks that the factory stock exhaust systems have. The aluminized steel resists corrosion as well as stainless steel but is priced more economically. -Our entire systems comes with adjustable clamps, muffler and sectional tubing for easy installation whether you have a standard, extended or crew cab vehicle.